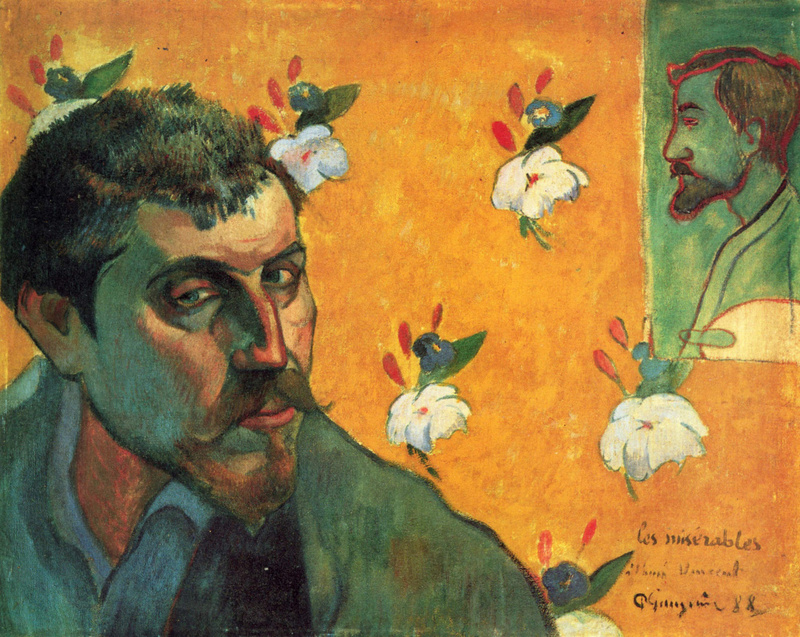 Self-portrait dedicated to Vincent Van Gogh was written by Gauguin just before his arrival in Arles and was part of a game-the competition between artists. 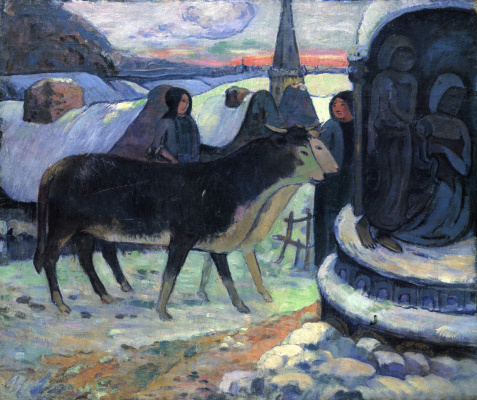 It began, however, before that, when Emile Bernard sent van Gogh own self-portrait with the image of Gauguin in the background. 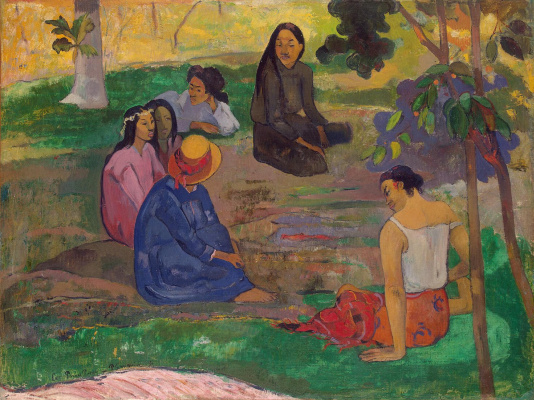 Vincent, it was with the idea of creating an artists ' colony in Arles, wanted to invite and Bernard, and all the fellow artists, but decided with Gauguin. 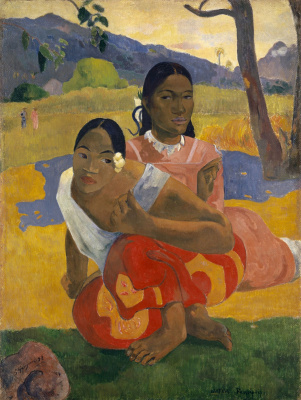 Between them struck up a lively correspondence, in which Gauguin sent van Gogh a self-portrait (depicting in the background of Bernard) with cunning and a questioning face, as if saying, "can you do it?" 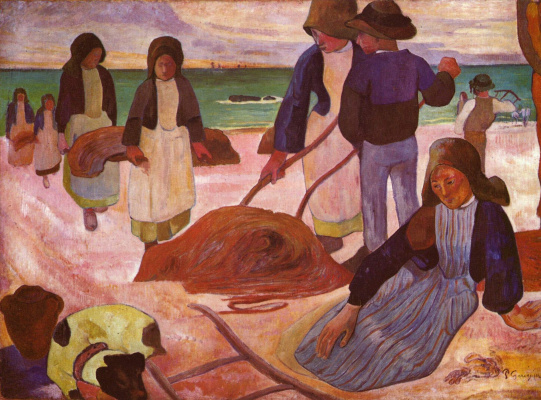 Van Gogh responded to the challenge more than adequately. 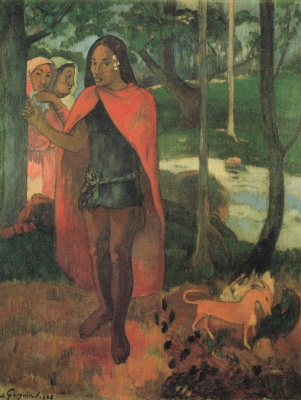 In "Self-portrait dedicated to Paul Gauguin" he placed himself on the background of the same color, which Gauguin used for a portrait of Emile Bernard in his work. So to reproduce the exact shade is called "green Veronese"- an incredibly hard, but van Gogh did it. Using colors and images in the Buddhist monk if Vincent made it clear to him that he is absolutely calm and ready to do everything possible to achieve their dreams. 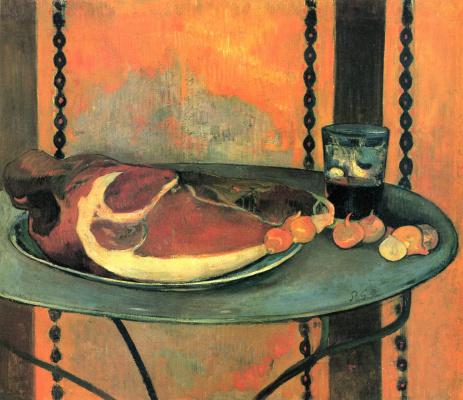 In addition, it seemed to him that his self-portrait Gauguin looks desperate, and so van Gogh wanted to give them a piece of his serenity. 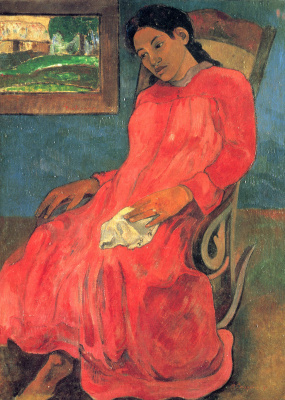 The mood self-portrait of Gauguin was quite different. 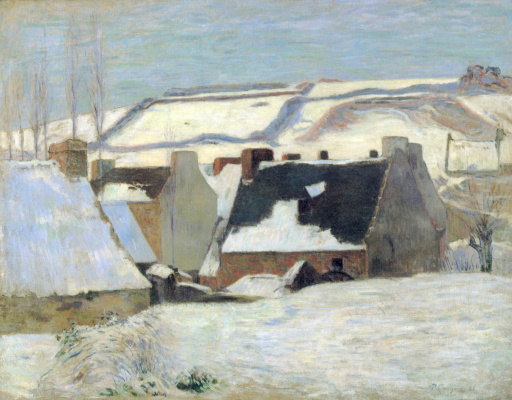 He called it "Les Miserables", referring to the main hero of the novel by Victor Hugo Jean Valjean, a former convict and the man challenging fate. 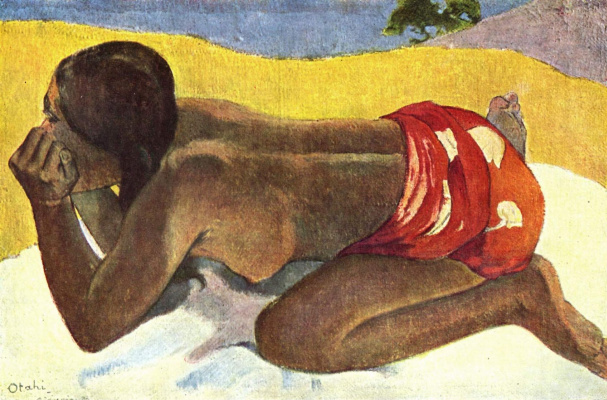 The artist liked to imagine himself a passionate rebel who has no place in bourgeois society. 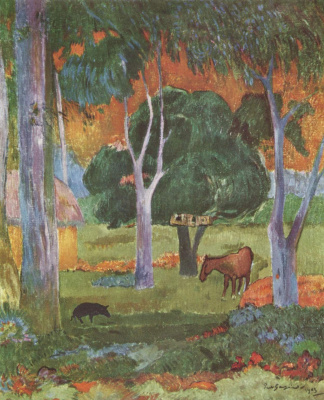 To enhance this effect, Gauguin shifted his own face the center of the picture to the left, going against all the traditions of the picturesque. In addition, half of the face "he replied" and half left in the shadows, hinting thus to the duality of his nature.